Hyundai has launched a fleet of cars – economy, SUVs and complete luxuries in 2017 and the beginning of this year, 2018. While as customers you have a lot to look forward to, we also know how difficult it is for you to choose the right car for yourself. When each of the Hyundai cars come with power packed features, we don’t really blame you for the confusion. So we decided to help you with a quick comparison between the premium Hyundai cars that are making news all over the world – Hyundai Elantra and Hyundai Tucson. The Hyundai Elantra (petrol) starts at INR 15.23 Lakh and goes upto 21.18 Lakh for the fully feature packed petrol model. While the base diesel version of the Hyundai Elantra costs INR 17.46 Lakhs, with a top model that comes at a cost of INR 22.52 Lakh. Now the Hyundai Tucson (petrol) starts at INR 21.08 Lakh and goes up to INR 26.04 Lakh for the top model, that is feature packed. The diesel version’s base model costs INR 23.37 Lakh, where as its top model comes at INR 29.48 Lakh. The Hyundai Elantra and Hyundai Tucson are both great cars when it comes to mileage, with only a little difference between the two. The Hyundai Elantra base petrol model returns 15 kmpl and the diesel model returns 23 kmpl. On the other hand, the Hyundai Tucson petrol returns 13 kmpl and the diesel model returns up to 18 kmpl. The powertrain of both the Hyundai Elantra and Hyundai Tucson are commendable. The Hyundai Elantra gets 150 bhp petrol and 126 bhp diesel engine options. While the Hyundai Tucson comes in 153 bhp petrol and 182 bhp diesel engine options. Both Hyundai Elantra and Hyundai Tucson have a front and rear disc braking system. Both Hyundai Elantra and Hyundai Tucson promise the ultimate luxury to its customers. It’s a tough decision to compare both the vehicles, and choose which one is the best. That’s why you should trust an Authorised Hyundai Dealer in Noida for purchasing your next car. The experts at the dealership will help you understand each of the features that the cars come with, how they are different and what impact will they have on the driving experience. After all, you don’t buy a car every day and at Capital Hyundai, we understand the big difference it makes to choose the right vehicle. Want to know more about the Hyundai Elantra and Hyundai Tucson? 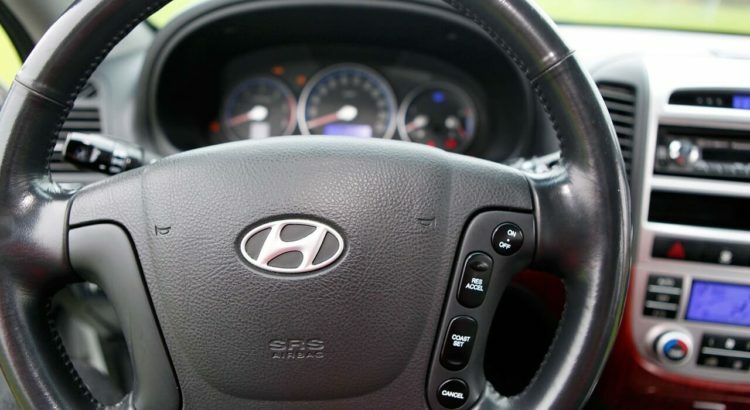 Book a test drive with Capital Hyundai today.